When I got my first apartment after moving out of the dorm, my parents gave me random kitchen things from their house–pots and pans, glasses, mismatched mugs, mixing bowls, and baking dishes. Over the years, I replaced everything with matching sets, but the Pyrex dishes always stayed, even after receiving sparkling new ones. 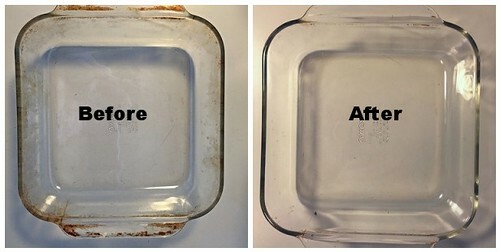 As I was rearranging my cabinets (side note: I need a lid organizer), I pulled out my old baking dishes and wondered if there was a way to get rid of the gunk from baking spray that wouldn’t come off, no matter how much I scrubbed. 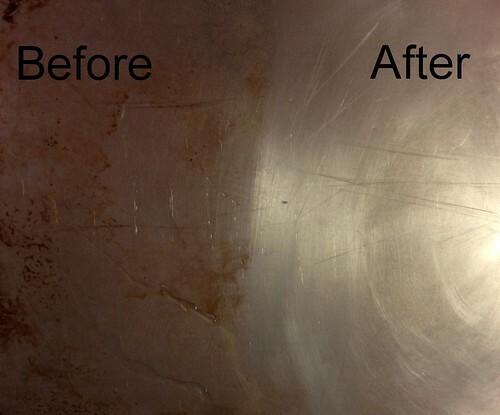 I quickly took to Pinterest given how effective the baking sheet cleaner was, and came across a simple hack: Magic Erasers and a little elbow grease. Surprise, it totally worked! They really are magic! I get my Magic Erasers at Costco because I use them for everything (did you know they work on tile grout too? ), and I found the kitchen eraser worked best. Also, I cut mine in half since I feel like I get more control that way, and the ends get used the most. What are your favorite uses for Magic Erasers? 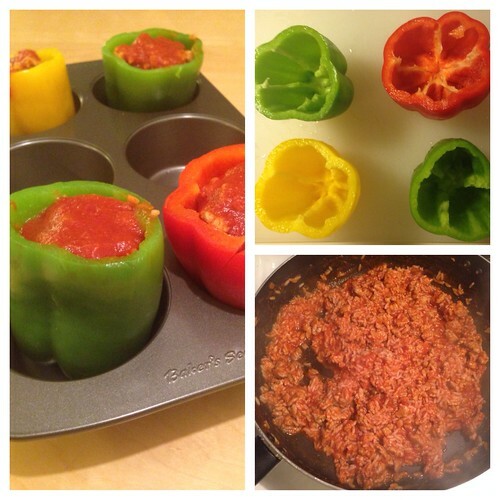 If you’re anything like me, you’ve re-pinned a bunch of cool things to do on Pinterest and hope for the best when you finally give them a try. Sometimes they work (Ikea lamp hack and the baking sheet cleaner) and sometimes they don’t (wine cork art, also known as the hot glue gun incident of 2013). Fortunately, I have another Pinterest success story! 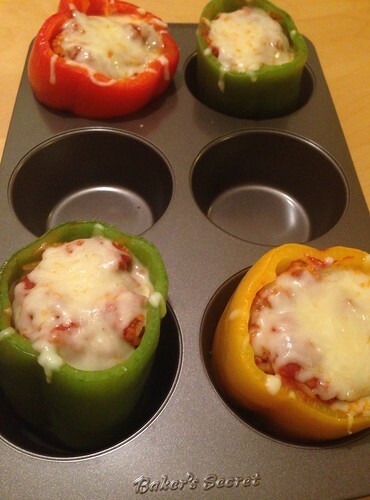 This one is simple–when making stuffed peppers, place them in a jumbo muffin tin so they don’t tip over while baking.